Web Design Wirral We're A Full-service Digital Agency That Deliver Results. Web design, e-commerce design, SEO, PPC, hosting and more. Get a bespoke quote today! Request A Call Back For A Bespoke Quote Today! With over 10 years experience building websites, our developers have the expertise and passion to create your company's digital vision. From high-quality brochure websites to display your brand and services to event management website with booking forms, user logins, subscription management and more! We specialise in building ecommerce sites designed to make your customers search less and buy more. Whether you are selling 1 product online or 1000s, shipping locally or internationally, we can help. Our certified developers have 7+ years experience designing ecommerce websites in Magento, WordPress, and Shopify. Search Engine Optimisation (SEO) – On-page SEO, Off-Page SEO and Google Analytics monitoring. Pay Per Click (PPC) – Google Adwords Search, Google Adwords Display, Bing Search, Yahoo Search, Facebook Display Ads and Linkedin Display Ads. Remarketing Display Ads – Google Adwords Remarketing, Facebook Remarketing and Linkedin Remarketing. 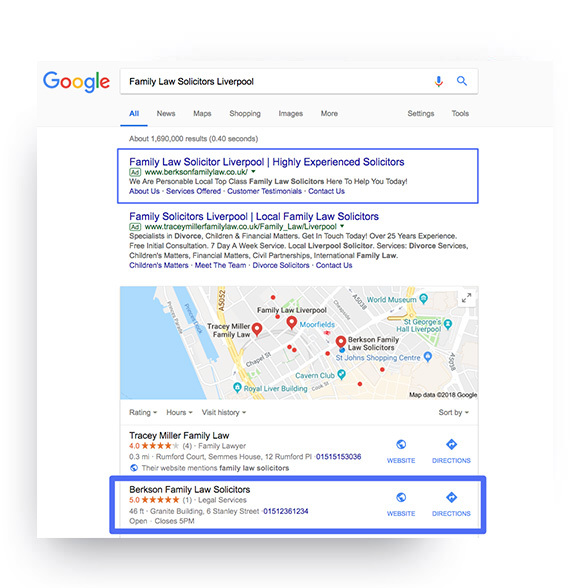 We have had the privilege of designing websites for hundreds of companies locally on the Wirral and in Liverpool as well as nationally for brands big and small. We have been designing websites e-commerce website for over 10 years so we'll let our past work do all the talking. Unlike other web design agencies at Web Design Wirral we don't hide our prices or try and confuse our customers with technical jargon. Our web design prices start at just £999 and will be priced specifically to your companies web needs. Still unsure if we are the web agency for you? No problem send us a message and we can talk through your needs in more detail and send you a quote and examples of work specific to your requirements.